by Cliff Kincaid: Despite the election of President Trump, which seemed to momentarily disrupt Democratic Party plans for total control, conservatives are losing politically. Trump's basic failure was the inability to seize control of the Pentagon and intelligence agencies away from Obama and his holdovers. Conservatives that Trump tried to put in were systematically purged. He's the ultimate target. It's unclear whether he can save himself. We see the results in the failure by Trump and his top officials to name radical Islamists as the enemy in his 9/11 speech. Homeland security analyst Ryan Mauro says, "By omitting any mention of Islamism or jihad, the Trump Administration's language is even closer to that of the Obama Administration than Hillary Clinton, who defined the enemy as 'jihadists.' President Obama refused to use any terminology associated with Islam at all." He did say, however, that "the future must not belong to those who slander the prophet of Islam." Trump is making deals with Democrats, ranging from debt to taxes and spending, as the national debt surpasses $20 trillion. He seems to be leaning toward some form of amnesty for DACA "dreamers" and maybe other illegal aliens. The Democrats, meanwhile, are embracing a total federal takeover of the health care system, as represented by Senator Bernie Sanders' unveiling of a "single-payer" plan to replace Obamacare. This is what happens when federal programs fail. The Marxists call for more government to "fix" the problem they created. Of course, this is happening because the Republican Congress failed to repeal and replace Obamacare, and is now moving on to something else. What's happening is a phenomenon that writer Vic Biorseth calls "Obamunism," the "American" brand of communism that marches on. Obama is out of office, but not out of power. Considering the failures of the Trump Administration and the Republican Congress, conservatives are the ones who should be leading the resistance. They did so, at one time, and it was called the Tea Party movement. It helped elect a Republican Congress, despite the efforts of the Obama IRS to stifle and strangle this grassroots movement of conservatives dedicated to individual freedom, private property rights, and small government. But now we learn that the Trump Justice Department has abandoned any effort to hold the IRS accountable for its political persecution of the Tea Party movement. Lois Lerner, the IRS official at the center of the scandal over targeting of Tea Party groups, will not be prosecuted. Rep. Kevin Brady (R-TX), chairman of the House Ways and Means Committee, said, "I have the utmost respect for Attorney General Sessions, but I'm troubled by his Department's lack of action to fully respond to our request and deliver accountability. Today's decision does not mean Lois Lerner is innocent. It means the justice system in Washington is deeply flawed." Yet the Department of Justice describes itself as leading the nation "in ensuring the protection of all Americans while preserving their constitutional freedoms." Republicans say Obama's guy, IRS Commissioner John Koskinen, was "repeatedly uncooperative and misled congressional investigators" during the scandal. But's he's still there. Some conservatives are so troubled by what's going on that they are circulating information from marijuana enthusiast Roger Stone that Trump has been drugged by a globalist satanic cabal. Someone wrote to me, "Trump is incrementally being poisoned through his ice tea or other foods and needs an independent third-party doctor to examine him." What we are witnessing does not require a sinister conspiracy theory. This is the growth of government, including the swamp that Trump said he would drain. But what is the swamp? The decision to keep Koskinen and protect Lerner demonstrates the corruption that characterizes the nature of the swamp. But the Justice Department appointment of former FBI Director Robert Mueller as Russia-gate Special Counsel is another example. Nobody likes to talk about it, but Mueller covered up the nature of the real perpetrators of the post-9/11 anthrax attacks. The evidence indicates that the anthrax was stolen from a U.S. lab by an al Qaeda operative. Instead, Mueller led an investigation that blamed a series of innocent American scientists, eventually forcing one to take his own life. He followed up by ordering FBI training materials to ignore the role of the Islamist ideology that inspires the enemy. Judicial Watch said Mueller thus became an agent of a broader Islamist "influence operation" aimed at "our government and Constitution." These forces still exist, as evidenced by Trump's failure to name the enemy on 9/11. The corruption is so deep that even one of Mueller's own FBI investigators, Kenneth Lambert, sued him for the job he did relating to the anthrax case. Now, a former State Department analyst who has followed the case is suing the DOJ and the FBI for documents that are still being improperly withheld. The FBI seems hopelessly corrupt. But despite all the talk about Mueller's successor, James Comey, failing to properly investigate Hillary Clinton, it is President Obama who should have been investigated. In a dump of documents (189 pages of "investigative notes") from the FBI last September, it was noticed by a few journalists that Obama, like Clinton, was described as using a non-secure private email address. They communicated through these accounts. What's more, Obama used a pseudonym. What was he hiding? Who else was he communicating with? If the FBI suddenly investigated Obama because he and Hillary were guilty of the same crimes, that would have not only derailed Hillary's campaign but raised questions about why the FBI did not conduct a CARL test (Character, Associates, Reputation, and the Loyalty) of Obama when he ran for office. The FBI had to know of Obama's communist connections because the bureau had monitored his communist mentor, Frank Marshall Davis, for 19 years. It is fascinating that federal employees have to fill out a background investigation form (Standard Form 86) for national security positions, but Obama and members of his Congressional Progressive Caucus do not. Meanwhile, Special Counsel Mueller and his FBI agents are going through every nook and cranny of President Trump's personal, political, and financial life, in order to make a case against him and force his resignation from office. It's important to remember that Trump's election was a major setback for the identity politics of the left, as white people finally reacted to the "Brown is the New White" electoral strategy that Obama and Hillary were depending on to win. The author of a book by the same name, Steve Phillips, has a history of involvement in Marxist politics, just like his friend, Barack Obama. They had counted on the workers to carry the Obama revolution forward. The white working class deserted the Democrats. As Obama emerges again on the national and global scene, the Trump victory gives conservatives the opportunity to understand what happened under our first Marxist President and how it can be reversed. The lesson, eight months into the Trump presidency, is that conservatives have to become the resistance. They have to revolt against the Republican establishment while continuing to pressure the Trump Administration to fulfill its campaign promises. Until and unless Obama is investigated by the Trump Department of Justice (with a new FBI director by the name of Christopher Wray), there is no hope for our country. The problem is that, according to his bio, Wray in 2003 served as assistant attorney general for the Justice Department's Criminal Division and that, in addition to overseeing criminal matters, he "played a key role in the evolving national security mission of the Department." That means he had to know that Mueller's probe of the post-9/11 anthrax attacks was badly mishandled and that the real culprits got away. Wray has to know that Mueller's objective is to take down Trump. A full-scale probe of the former president and his involvement in a communist network that stretches from Havana to Moscow to even the Vatican in Rome may be the only way for Trump to truly save his presidency. It would fulfill his central campaign promise to "drain the swamp." He must fire Mueller and then urge his supporters to be the "resistance" to Marxist identity politics and government corruption. For those who question the inclusion of the Vatican in this list, consider that George Neumayr's new book, The Political Pope, identifies a communist mentor for Francis as well and argues the case that the Marxist-oriented pope is "abandoning conservatives" so Rome can be included in a post-Christian New World Order. The corruption in the U.S. intelligence community threatens our national survival. It explains not only the timid treatment of radical Islam, but why the Obama Administration failed to stop North Korea's acquisition of nuclear weapons, why it made a deal to virtually assure that Iran would get them as well, and why the U.S. is still bogged down in a no-win war in Afghanistan. National survival requires a winning strategy that identifies our enemies. An investigation of Obama is absolutely critical to safeguarding the national security of the United States and evicting traitors from the swamp. What the Justice Department and the FBI should be doing is probing Obama's operations as a foreign agent for anti-American interests ranging from the Muslim Brotherhood to the Russians and the international communist movement. That's the case we make in our two recent books, Comrade Obama Unmasked and Red Star Rising. However, on his way out of office, in a clever dialectical maneuver, Obama launched Russia-gate to divert attention from his own background and curious and controversial foreign connections. It was a classic communist propaganda technique. As the Senate Subcommittee on Internal Security explained in a 1967 study on The Techniques of Soviet Propaganda, "Soviet propaganda uses as a fundamental psychological stratagem the ancient and familiar ruse of crying 'thief' to divert attention from its own thievery." By design, Russia-gate is missing the real Russian agent – Obama himself. This is the worst cover-up of all time, concealing from the American people that their first Marxist President was a security risk possibly being blackmailed by Russia. Our upcoming November 10 conference, "How the Russia-gate Conspiracy Theory Has Set the Stage for Obama's Return to Power," will take place from noon to 5:00 pm, Zenger Room, National Press Club, 529 14th St. NW, 13th Floor, Washington, DC 20045. Please go to usasurvival.org for more information. 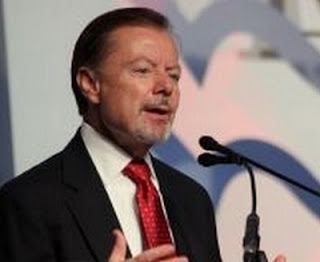 Cliff Kincaid is a veteran journalist and media critic and writes for Renew America. Tags: Cliff Kincaid, Renew America, Conservatives, have to, become the resistence To share or post to your site, click on "Post Link". Please mention / link to the ARRA News Service and "Like" Facebook Page - Thanks! by Newt Gingrich: Time is running out for Republicans if they want to keep their governing majority in 2018. After 238 days of having control of the White House and both houses of Congress, the GOP has only one major legislative achievement – the Senate confirmation of Supreme Court Justice Neil Gorsuch. This is, in part, because Republicans tried to run before they could walk. Attempting to immediately repeal and replace Obamacare without an iron-clad strategy for success was a mistake driven by post-election excitement and inexperience. Remember, many current House Republicans have never served when there was a Republican in the White House, and our Senate majority is still too slim to pass transformative conservative legislation. But while early mistakes are to be expected, it is not too late to change the Republican trajectory. Before we can fully bring our country out of the liberal, big government, dependency model, Republicans need to develop an economic-growth-focused strategy, build legislative momentum on the floor of Congress, and gain full support from the American people. The key to achieving these goals – and growing our majority in both the House and Senate next year – is to pass simple, popular, tax cut legislation by this year’s end – preferably by Thanksgiving. The cornerstone of this legislation must be a serious tax cut for small businesses so they can expand, create more jobs, and revive the middle class. Small businesses represent 99 percent of our country’s employers, employing nearly half of our country’s private sector workers and creating three out of every four new jobs. However, instead of paying the corporate tax rate, more than 90 percent of these businesses report their income through their owners’ individual income tax filings. Despite what some on the Left assert, these are not “the rich” or “the top 1 percent” – far from it. 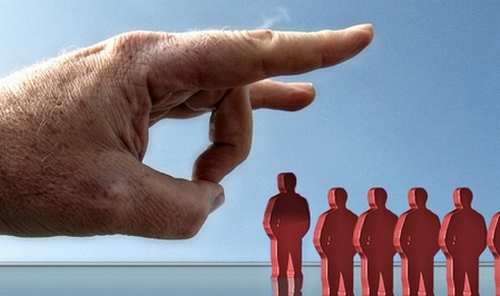 Most small businesses are truly small. U.S. Treasury <data and a report by the National Federation of Independent Business show only 2.4 percent of small businesses report incomes in excess of $250,000 a year. In fact, 88 percent of income tax returns by small business owners show adjusted gross income of less than $200,000. Seventy-one percent of such returns show adjusted income that is less than $100,000 a year. On the high end, the Tax Foundation reports that the top earning small businesses pay marginal federal tax rates as high as 44.6 percent (when you combine the individual rate, the self-employment tax, and the net investment income tax). Adding state income taxes to the mix means these small business owners face tax rates that approach 50 percent. Republican lawmakers should create a graduated system that caps the tax rate on the highest small business incomes at no more than the corporate rate of 38.92 percent, drastically reduce the individual income tax rates, or both. Relieving small businesses of this enormous tax burden will allow them to buy more equipment, expand their operations, hire more people, raise workers’ wages, and generate massive economic growth. 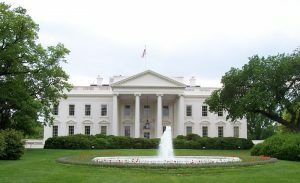 Despite a slow start for the Republican-led government, Gallup reported on Wednesday that 51 percent of Americans approve of the way President Trump has handled the economy. This is higher than the economic ratings Barack Obama, Ronald Reagan, and Bill Clinton each received during their eighth month in office. Only George W. Bush in 2001 had a higher economic approval rating, at 72 percent. It is not surprising that Americans approve of how President Trump has been handling the economy. Since taking office, the stock market has been booming. The Dow Jones Industrial Average is up 12.25 percent; The Nasdaq Composite Index is up 22.92 percent; and the S&P 500 is up 11.49 percent. 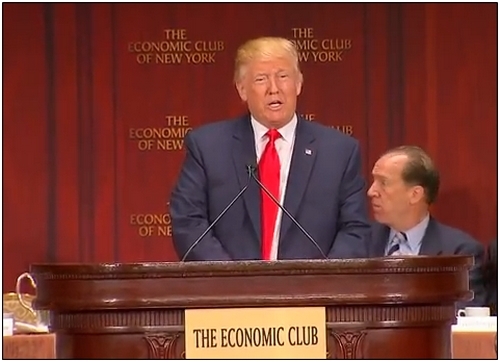 Tax cuts on small business and the middle class will provide an enormous boost to the already improving economy. This will result in even more jobs, higher take home pay, and stronger growth. When voters head to the polls on November 6, 2018, if they have been experiencing a robust American economy that is dramatically stronger than the slow-growth economy during the previous years of Democratic leadership, then they will elect more Republicans to office. But Republicans must pass serious tax cuts for the middle class and small businesses by Thanksgiving to make that happen. It’s that simple. Tags: Newt Gingrich, commentary, Tax Cuts, income taxe, small business, bhange GOP trajectory To share or post to your site, click on "Post Link". Please mention / link to the ARRA News Service and "Like" Facebook Page - Thanks! 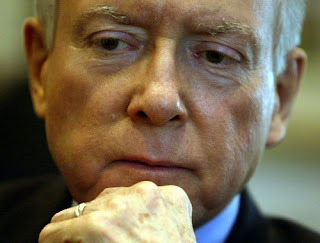 Tags: Orin Hatch, US Senate, Tax Reform, Middle Class, Quality Jobs, Higher Wages, Growth, Communities To share or post to your site, click on "Post Link". Please mention / link to the ARRA News Service and "Like" Facebook Page - Thanks! by Gary Bauer, Contributing Author: Don't Miss Rice - ​No, that's not a dinner suggestion. Lost in all the furor over a potential DACA deal yesterday was the news that former Obama National Security Adviser Susan Rice admitted to House investigators that she unmasked or disclosed the names of senior Trump campaign officials. Apparently, President Obama felt snubbed that the crown prince of the United Arab Emirates came to the country and did not meet with him or inform the U.S. government that he was here. But the crown prince was here to establish relations with the incoming Trump Administration. Moreover, the UAE was upset by Obama's appeasement of Iran. "Susan Rice knew, and presumably President Obama knew, that President-Elect Trump and his people were being surveilled in Trump Tower in the era before he was the president of the United States. And she knew how to take advantage of that. "​Napolitano noted that this unmasking took place "about the same time" that portions of Michael Flynn's phone conversations with the former Russian ambassador were leaked to the Washington Post. These and other leaks, many of them false, severely damaged the new Trump Administration, and continue to hobble it to this day. Jugde Napolitano suggested that Special Counsel Mueller should be looking into whether the Obama Administration abused our national security apparatus to "make it look like there was involvement between the transition team and the Russians." Every American should be deeply concerned by Rice's actions. Is this really an acceptable way to run our constitutional republic? Would the left ever tolerate the Trump/Pence team spying on Bernie Sanders or Elizabeth Warren? We face many foreign dangers. But numerous commentators have noted that free societies frequently collapse from the rot within rather than from external threats. The spying on the Trump team, the entire so-called "Russia scandal," has only exacerbated the polarization of America. The left feels cheated and the right feels like the media and the deep state are trying to destroy a populist president committed to putting America first. Kim Does It Again - Kim Jong-un test-fired another ballistic missile this morning. Once again, it flew over Japan, putting innocent lives in jeopardy. With each provocation from the Stalinist regime, I hear more and more commentators suggest that we must simply learn to live with a nuclear North Korea. They always say how horrible a military confrontation would be and that we just can't go there. I don't mean to minimize the horrors of war. But every time the pundits and politicians say that it is unthinkable, they signal to Iran and other enemies that we are weak and willing to accept nuclear blackmail. If war is never acceptable, there are not many options other than servitude to tyrants. Shapiro Speaks - Conservative commentator Ben Shapiro spoke at the University of California Berkeley last night. Antifa protestors were there, but law enforcement was ready for them this time. Nine protestors were arrested, including at least three who possessed banned weapons. While Shaprio spoke to students, Antifa thugs chanted outside, "No Trump! No KKK! No fascist USA!" As Shapiro noted, that chant proves Antifa's protest has nothing to do with him and everything to do with its own intolerance for conservatives. To begin with, Ben Shapiro is no Trump fan. And comparing him to the KKK and fascism is disgusting and offensive because he is a Jew. It is astonishing to witness the radicalization of the progressive left. In the 1960s, the left was all for unbridled freedom and the right to speak and protest. The "free speech movement" began in Berkeley. Today, the left is all about suppressing speech and the rights of those it disagrees with. "Poll: Most California Democrats What To Restrict Free Speech"
"Antifa Activists Say Violence Is Necessary"
The secession movement is gaining ground in California. Sadly, the poll above shows just how much it has succeeded already. California progressives have separated themselves from the founding principles of this country -- religious liberty and free speech. They increasingly embrace anti-American ideas. California certainly has come a long way since the days when Ronald Reagan was governor. What explains this dramatic shift? Well, there may be serveral explanations, but it is worth noting that among all the states, California has the highest percentage of foreign born residents. What logical conclusion can you draw from that? As more people come from countries that do not understand or value our history and traditions, and as their children are subjected to an educational system that rejects Western Civilization and finds chants of "USA!" offensive, it is not surprising that more and more people begin to reject basic tenets of Americanism. After a severe backlash, Harvard University has revoked its invitation to convicted traitor and transgender activist Bradley "Chelsea" Manning to be a Visiting Fellow. The Senate appears to be inching closer to a major overhaul of Obamacare. Tags: Gary Bauer, Campaign for Working Families, Don't Miss Rice, Shapiro Speaks, Manning Honor Revoked To share or post to your site, click on "Post Link". Please mention / link to the ARRA News Service and "Like" Facebook Page - Thanks! by Debra Heine: Newly disclosed emails from Clinton aide Huma Abedin's unsecure account have brought to light additional examples of mishandling of classified information and "pay to play" at the Clinton State Department. The State Department this week turned over 1,600 emails from Abedin's account to the conservative watchdog group Judicial Watch in response to the group's Freedom of Information Act lawsuit. Judicial Watch says the documents reveal "numerous additional examples of classified information being transmitted through the unsecure, non-state.gov account of Huma Abedin, former Secretary of State Hillary Clinton’s deputy chief of staff, as well as many instances of Hillary Clinton donors receiving special favors from the State Department." According to Fitton, there are emails "we haven't seen before" among this latest batch, even though Clinton assured Congress that she had turned over all of her emails. In July 2009, Zachary Schwartz, an associate for donor Steve Bing, contacted Band requesting help on visas for Cuba for a film production crew from Bing's Shangri La Entertainment. Band forwarded the request to Abedin asking her to call Schwartz "asap." Abedin said she would. Bing reportedly donated between $10 million and $25 million to the Clinton Foundation. Another instance was in September 2009, when chairman of futures brokerage firm CME Group and Clinton Foundation donor Terrence Duffy asked Clinton to help arrange “government appointments” in Singapore and Hong Kong. Clinton forwarded the request to Abedin, who said she would “follow up” with his secretary. “Would like to get some more information and details so we can try to help,” Abedin wrote to Duffy’s secretary. Duffy reportedly gave $4,600 to Clinton’s 2008 presidential campaign, and his company reportedly paid Clinton $225,000 for a speaking fee. Other documents show Clinton received “proposed questions” in advance of a “Global Press Conference” in 2009 from seven foreign reporters, among other communications among Clinton, Abedin and other State Department aides.On Fox News Friday morning, Tom Fitton talked about what he called Clinton's "outrageous abuses," including the mishandling of classified information regarding the Middle East, military contributions from U.S. allies in Afghanistan, and sensitive CIA operations. The pay to play scandal involves "email after email of Doug Band working with Huma Abedin to provide favors to Clinton Foundation donors," Fitton said. The donors went through Band "to get access and benefits from the State Department," he explained. 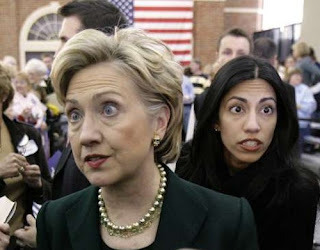 Judicial Watch also uncovered an email from 2010 in which a Clinton speechwriter asked Abedin if her mother would be willing to "give him advice on talking points he was preparing for Clinton for her town hall meeting at Dar Al Hekma, a women’s university in Saudi Arabia." Abedin’s mother is a controversial Islamist activist who has ties to the Muslim Brotherhood. “Talk to my mom for sure. She will have good points for you,” Abedin replied. Judicial Watch looked and could not find any evidence that Clinton referenced any of those topics in her speech. "When Huma Abedin was criticized because of her mother's controversial activities on behalf of radical Islam everyone said 'well, how dare you criticize her,'" Fitton pointed out. Indeed, in 2012, Senator John McCain took to the Senate floor to roundly condemn a group of House Republicans who had voiced concerns about Abedin's connections to Muslim extremists, including her mother. State Department spokesman Philippe Reines at the time called the accusations "nothing but vicious and disgusting lies." "Now it looks like she had a hand in crafting Mrs. Clinton's message during a town hall to Saudi Arabia," Fitton said. "I don't understand why the Justice Department hasn't gotten its act together and reinitiated an investigation into what went on here, because we all know Comey's investigation was a sham," he declared. "They need to restart it up." Tags: Debra Heine, PJMedia, Newly Exposed Clinton Emails, Reveal, More Mishandling, Classified Info, Pay to Play To share or post to your site, click on "Post Link". Please mention / link to the ARRA News Service and "Like" Facebook Page - Thanks! 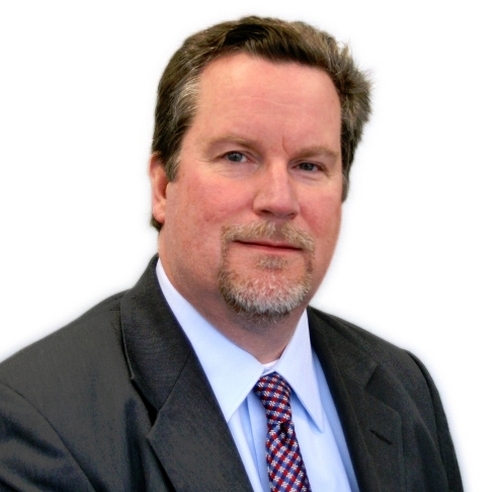 Jerry Cox is the founder and president of Family Council and the Education Alliance. Tags: Jerry Cox, Family Council, Hillary Clinton, attacks Electoral College, Electorial College, Dennis Prager, video, To share or post to your site, click on "Post Link". Please mention / link to the ARRA News Service and "Like" Facebook Page - Thanks! by Micha Morrison: The federal corruption trial of Senator Robert Menendez and his very good amigo, Florida ophthalmologist Salomon Melgen, is underway in New Jersey. It doesn’t appear to be going well for the prosecution. In the courtroom, Judge William Walls did not allow Dr. Melgen’s girlfriends to be referred to as “girlfriends,” only “friendship” was acknowledged, fooling no one. In a bizarre filing before the trial opened, the government worked hard to portray the senator and the wealthy doctor as two dirty old men living the lifestyle of the rich and famous. Dr. Melgen wanted to bring his young “foreign girlfriends to the United States to visit him,” the document notes. The women were “from Brazil, the Dominican Republic, and Ukraine.” Senator Menendez helped with the visas. Dr. Melgen arranged for Mr. Menendez and his girlfriend (oh by the way both men are married) “to stay in Punta Cana, an exclusive oceanside resort town” in the Dominican Republic. It’s unclear what relation Beyonce and George Clooney have to the case, but eventually the trial will get down to narrow matters of law. As noted last month, this is where it’s likely to run into trouble with the Supreme Court’s recent McDonnell decision, which narrowed the definition of corrupt practices by public servants. But meanwhile, getting pushed around by your own witness and filing specious briefs are signs your case is in trouble. Lavish lifestyles and big money also form the background to the travails of Israel Prime Minister Benjamin “Bibi” Netanyahu. I surveyed the complicated corruption allegations against him here. Four cases are pending, including one for accepting expensive gifts. Another case, the so-called “Submarine Affair,” took a turn for the worse earlier this month with the arrest of David Sharan, the prime minister’s former chief of staff. The case involves bribery of government officials to grease the skids for a billion-dollar submarine deal. Mr. Netanyahu is not a target of the investigation—at least not yet, at least not officially. But the net is tightening around members of his inner circle. In a separate development, the pressure on the prime minister increased last week when the Israeli attorney general announced that he intended to bring fraud charges against Mr. Netanyahu’s wife, Sara. Mrs. Netanyahu is a lightning rod for public criticism in Israel for her allegedly high-handed ways. She is accused of improperly spending about $100,000 in restaurant and take-out food purchases, a misuse of government funds allocated to the prime minister’s residence in Jerusalem. Mr. Netanyahu has dismissed the allegations as “absurd” and Mrs. Netanyahu will have an opportunity to defend herself in court before a final decision is made on charging her. It’s a long way from Casa de Campo to Jerusalem, but the veteran politicians have something in common: a taste for the high life. Of course this is nothing new. “Whoever loves money never has enough, whoever loves wealth is never satisfied with their income,” notes Ecclesiastes. But is it a crime? In New Jersey, the government’s case is off to a shaky start and McDonnell looms. In Israel, the sheer weight of the multiple cases involving the prime minister seem certain to take a toll and embolden his many parliamentary enemies. The betting here: Menendez survives, Bibi is gone by April. Micah Morrison (@micah_morrison) is chief investigative reporter for Judicial Watch. Tags: Micah Morrison, Judicial Wath, federal corruption trial, Senator Robert Menendez, Florida ophthalmologist, Salomon Melgen To share or post to your site, click on "Post Link". Please mention / link to the ARRA News Service and "Like" Facebook Page - Thanks!
. . . Imagine if Watergate had been about the White House spying on Democrats for the KGB. by Daniel Greenfield: After months of denials, the pretext for Susan Rice’s eavesdropping on Trump officials has finally been made public. It had been widely known that Obama’s former National Security Adviser had contrived to unmask the names of top Trump officials who had been spied on by the administration. And the same media that still treats Watergate as the Great American Scandal had claimed that there was nothing “improper” in an Obama loyalist eavesdropping on members of the opposition party. Tags: Daniel Greenfield, FrontPage Mag, Obama Administration, Susan Rice, spying, Trump Officials, Muslim Brotherhood To share or post to your site, click on "Post Link". Please mention / link to the ARRA News Service and "Like" Facebook Page - Thanks! The answer to that question, raised in my column a week ago, is in. Last night, President Donald Trump cut a deal with “Chuck and Nancy” for amnesty for 800,000 recipients of the Deferred Action for Childhood Arrivals program who came here illegally as youngsters, in return for Democratic votes for more money for border security. Trump’s debt-ceiling deal cut the legs out from under the GOP budget hawks. But amnesty would pull the rug out from under all the folks at those rallies who cheered Trump’s promise to preserve the country they grew up in from this endless Third World invasion. Make no mistake, if amnesty is granted for the 800,000, that will be but the first wave. “There are reasons no country has a rule that if you sneak in as a minor you’re a citizen,” writes Mickey Kaus, author of “The End of Equality,” in The Washington Post. “We’d be inviting the world. … (An amnesty) would have a knock-on effect. Under ‘chain migration’ rules established in 1965 … new citizens can bring in their siblings and adult children, who can bring in their siblings and in-laws until whole villages have moved to the United States. Trump is risking a breach in the dam. If the populists who provided him with decisive margins in Ohio, Wisconsin, Michigan and Pennsylvania feel betrayed, it’s hard to blame them. Why did Trump do it? Clearly, he relished the cheers he got for the debt ceiling deal and wanted another such victory. And with the rampant accusations of a lack of “compassion” for his cancellation of the temporary Obama administration amnesty, he decided he had had enough heat. Trump’s capitulation, if that is what turns out to be, calls to mind George H. W. Bush’s decision in 1990 to raise the Reagan tax rates in a deal engineered for him by a White House-Hill coalition, that made a mockery of his “Read my lips! No new taxes!” pledge of 1988. By the fall of ’92, the cheering had stopped. Tags: Patrick Buchanan, conservative, commentary, ‘Read-My-Lips’ Moment for Trump, illegals, DACA To share or post to your site, click on "Post Link". Please mention / link to the ARRA News Service and "Like" Facebook Page - Thanks! 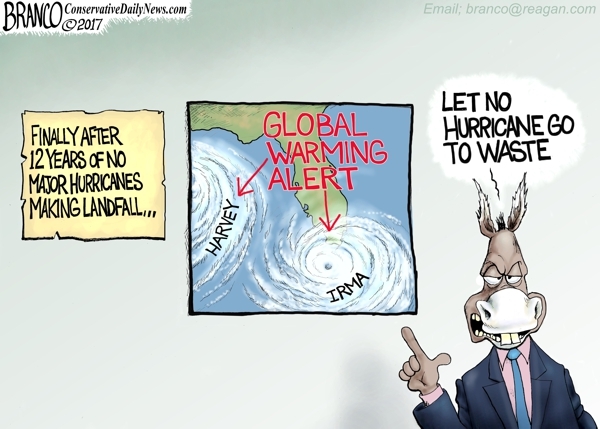 Hot Air Update . . .
. . . Let no crisis go to waste Liberals are quick to blame the recent but rare and hurricanes on Global Warming. Tags: Hot Air Update, liberals, crisis, blame, rare, hurricans, global warming, editorial cartoon, AF Branco To share or post to your site, click on "Post Link". Please mention / link to the ARRA News Service and "Like" Facebook Page - Thanks! by Paul Jacob, Contributing Author: Seven Republican members of Congress — three in the last two weeks — have announced their retirement. * The Democrats, needing 24 additional seats to gain a majority, see an opening. Steve Kornacki, MSNBC’s national political correspondent, calls these seven “pure retirements.” That is, these politicians aren’t seeking another office, they suffer from no scandal, and are “pretty good at getting re-elected”; they’re “just deciding to leave.” Kornacki notes that the GOP had eight pure retirements in 2006 when they lost the House, and the Democrats had eleven when their majority was destroyed in 2010. Williams refers to Steve Bannon, late of the Trump administration and now back at the helm of Breitbart News. Bannon is now working, as CNN reported, with “conservative mega-donor Robert Mercer, who is prepared to pour millions of dollars into attacks on GOP incumbents.” Incumbent Republicans thwarting Trump, that is. Ah, more spoilers! This week we’ve talked about Libertarian spoilers; now, pro-Trump spoilers. And, for years, non-profit groups such as the Club for Growth and U.S. Term Limits have helped a challenger against an incumbent, and been dubbed dangerous to Republican hegemony for their trouble. Seems what connects all these anti-establishment folks is a commitment to principle over power. * The retiring Republicans are Rep. Sam Johnson (R, TX-3), Rep. Lynn Jenkins (R, KS-2), Rep. Ileana Ros-Lehtinen (R, FL-27), Rep. John Duncan Jr. (R, TN-2), Rep. Dave Reichert (R, WA-9), Rep. Charlie Dent (R, PA-15), and Rep. Dave Trott (R, MI-11). Tags: Paul Jacob, Common Sense, Spoiler, principle over power To share or post to your site, click on "Post Link". Please mention / link to the ARRA News Service and "Like" Facebook Page - Thanks! by Rick Manning: America’s media monopolies pose a threat to democracy. Most people know that President Donald Trump has engaged in a very public war of words with a variety of biased media outlets, like CNN, over their advocacy journalism which shreds any semblance of objectivity. Trump was right in October of 2016, and now his Justice Department has the power to stop the AT&T and Time Warner merger in its tracks, and that is exactly what they should do. The continued consolidation of media exposes the obvious problem where one entity can impose a political or cultural point of view on society as a whole simply by making it normal, acceptable, or seemingly outside the mainstream, on every entertainment outlet that people watch. This inordinate power to control the information that flows onto our computers and through entertainment and advocacy news outlets that the consolidation of media has created highlights the dangers of allowing the AT&T-Time Warner merger to proceed. Currently, AT&T owns the number 1 Pay TV company (26M subscribers), the number two wireless company with 134 million subscribers, the number three Internet Service Provider with 16 million subscribers and was the world’s largest telecommunications company by revenue with $163 billion in revenue in 2016 alone. For its part, Time Warner owns CNN, one of the world’s largest news networks, three of the top five general entertainment cable networks in TBS, TNT and Adult Swim, HBO – the leading premium cable provider and the number two movie studio by box office revenue in Warner Bros. If approved, AT&T’s powerful reach into consumer’s televisions, computers, and mobile devices means they could easily increase the power of their own offerings – like CNN. They could also make it more difficult or impossible for consumers to find conservative or more balanced news alternatives. The last thing we need is a corporate giant that makes CNN and other networks it owns even more powerful. President Trump clearly stated that under his administration the AT&T/Time Warner merger would be stopped because it was not in America’s interest. Now, he needs to keep his promise by telling his Justice Department to kill the deal as a bad, bad deal for free speech in America. Tags: Robert Romano, Americans For Limited Government, President Trump, Kill, AT&T, Time, merger To share or post to your site, click on "Post Link". Please mention / link to the ARRA News Service and "Like" Facebook Page - Thanks! by Kerby Anderson, Contributing Author: Will orthodox, Bible-believing Christians find it harder and harder to buy and sell in America? If you asked that question a few decades ago, people would think you lost all rationality. But that is a question Rod Dreher rightly asks in a recent editorial. You can go to the ministry’s website and see that it does not even come close to promoting anything like that. People in the ministry believe what the Roman Catholic Church teaches about homosexuality. And because they support traditional marriage and biblical sexuality, the SPLC tagged then as a hate group. 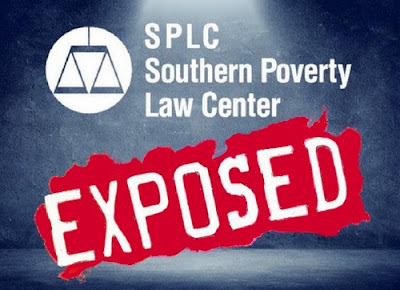 The Washington Free Beacon has been looking into the SPLC and found that it has become a fundraising powerhouse by expanding its list of domestic hate groups. It recorded more than $50 million in contributions and $328 million in net assets. The group also has “financial interests” in the Cayman Islands, British Virgin Island, and Bermuda. At one time the SPLC provided a necessary function of identifying true hate groups. Today it slaps the label indiscriminately on ministries and organizations like the Ruth Center that do not deserve it. This, in turn, makes them a target and they lose vital services. Tags: Kerby Anderson, Viewpoints, Point of View, Buying and Selling, Christians, Ruth Center, Catholic non-profit, SPLC, Southern Pverty Law Center To share or post to your site, click on "Post Link". Please mention / link to the ARRA News Service and "Like" Facebook Page - Thanks! by Caleb Taylor: Savings will need to be found in state government spending in order to achieve tax cuts in the near future, according to Arkansas Lt. Gov. Tim Griffin. Griffin is a member of Gov. Asa Hutchinson’s Transformation Advisory Board; the board advises Hutchinson on possible savings and efficiencies in state government. 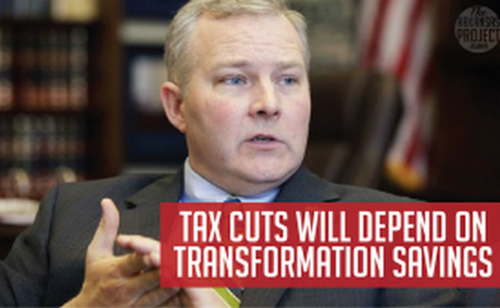 Griffin said in an interview with Talk Business that he’s optimistic that the Legislative Tax Reform and Relief Task Force will come up with real solutions on reforming and lowering state taxes. It’s good that they’re having the discussion about what we ought to do. I think a lot of good ideas will come out of it. The degree to which we can lower taxes will depend in large part on how much savings we can find. The savings are the key. What you’re doing then is you’re creating a government that runs better but costs less to run.For an example of tax reform gone wrong, one need look no further than Kansas’s recent attempt at tax reform that featured tax cuts (good!) but no reduced spending (bad!). Kansas also never got around to eliminating loopholes in the tax code. If tax reform and relief is going to happen in Arkansas, it won’t be through legislators emulating the Kansas model. 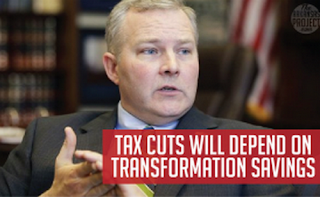 Griffin said he hopes that the transformation board’s efforts will make tax reform and relief more likely to become a reality — through finding savings in state government. The way you get to that and have the flexibility to lower taxes, rearrange taxes and do all that the way you really want to do it…the way you get there is you’ve got to find savings. If government is spending what government is taking in, then there’s no surplus money to lower taxes with. Transformation is the key that unlocks the door to tax reform, highways and infrastructure…to whatever it is that you think money should be going to. We’re spending extra money to do things the old way.While there’s a lot of work left to do on this front, there has been progress made by state agency heads in recent years. Many state agencies have found ways to root out inefficiencies and reduce staffing while meeting their obligations to the public. This has led to significant taxpayer savings. For more on this topic, read our previous four stories about these efforts. Caleb Taylor writes for The Arkansas Project an outreach of the Advance Arkansas Institute. Tags: Arkansas, Lt. Gov. Tim Griffin, Tax Cuts, depend upon, transformational savings, Caleb Taylor, The Arkansas Project To share or post to your site, click on "Post Link". Please mention / link to the ARRA News Service and "Like" Facebook Page - Thanks! 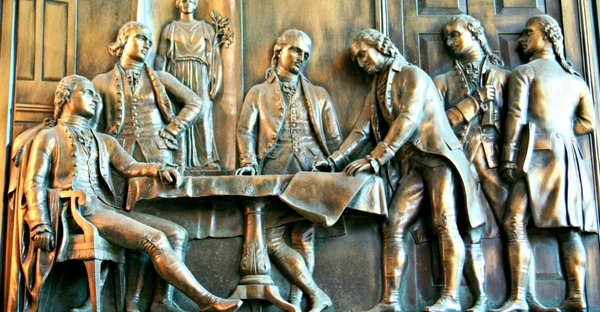 by Joseph Postell: The nation marks the 230th birthday of our Constitution this weekend. On Sunday, many Americans of all political persuasions who are aware of Constitution Day will praise the Framers of that document and express gratitude that they live under its protections. They will celebrate the fact that we have a representative democracy, where the laws are written by people who must stand for re-election at regular intervals. They will praise our system of separated powers, where no person has the power to be lawmaker, investigator, prosecutor, judge, jury, and executioner. And they will cheer for the Bill of Rights, which guarantees our freedoms from searches without probable cause and from self-incrimination, and secures our rights to due process. That Constitution—the one taught to students in high school civics classes—doesn’t really exist anymore. Nowadays, American government follows a process that barely resembles the basic principles established in our fundamental law. Of course, we haven’t parted with the Constitution officially. Congress still enacts laws from time to time, and we still elect its members. The president’s election is independent from Congress, unlike many parliamentary systems, and federal judges are independent of the legislative and executive branches because of their tenure during good behavior and their fixed salaries. It would be incorrect to say that today’s system is completely unconnected to the Constitution’s structure. The problem is that our textbook description of American government conceals the reality of the administrative state. Most of the rules that govern our behavior are made by administrative agencies, not by Congress. Administrative agencies also investigate, prosecute, and enforce violations of these rules. The agencies have the power to “adjudicate” disputes stemming from their rules, in what Columbia law professor Philip Hamburger calls “miniature courts” within the agencies themselves. Administrative judges and administrative law judges are new features of our political system, so that even the judges are no longer independent. In many cases, the Bill of Rights itself has been considered inapplicable. Unlike traditional law enforcement, many bureaucrats have power to search private property without a particular warrant. In administrative proceedings, the right to avoid self-incrimination is frequently dispensed with. The right to trial by jury, guaranteed by the Seventh Amendment, is not always recognized, even in administrative decisions where millions of dollars of fines are on the line. This amounts, in essence, to a policymaking process that exists in limbo, somewhere outside the normal constitutional process and the normal constitutional constraints. Almost everyone paying attention acknowledges that the existence of this administrative state raises important constitutional questions. But to many, it seems like bureaucratic government is just one of those things that we’re stuck with as a necessary part of modern life. This is not the path we had to take. Regulation and administration have existed throughout American history. There were building codes, environmental, health, and safety rules, and plenty of regulatory programs during the first years of our nation. The difference is that those regulations were enacted by elected representatives passing laws, or by judges who applied the principles of common law to resolve disputes among citizens. The regulations were merely enforced, and carried out, by the administrative agencies that today are often the lawmakers, investigators, judges, juries, and executioners. We had administration, but not an administrative state. It was more difficult, admittedly, to regulate through these constitutional mechanisms. But people agreed that the Constitution’s principles were important enough to accept the inconvenience of following them. Looking back at how they managed to enact regulations within the Constitution’s boundaries is something we should be doing today. For several years, Congress has taken a closer look at reforming this administrative state that has grown up around the Constitution and threatens its core principles. But thus far, very little has been completed. The path back to constitutional government will be long and difficult from this Constitution Day, but many good ideas have been offered for bringing our administrative behemoth back into the constitutional framework. It is the responsibility of Congress to rein in the administrative state and begin the slow, arduous task of rebuilding constitutional government. Joseph Postell is associate professor of political science at the University of Colorado-Colorado Springs and visiting fellow in American political thought in the B. Kenneth Simon Center for Principles and Politics at The Heritage Foundation. Tags: Joseph Postell, US ConstitutionTo share or post to your site, click on "Post Link". Please mention / link to the ARRA News Service and "Like" Facebook Page - Thanks!